“MaJo” provides day-to-day support in the planning and execution of several strategic campaigns for tech and consumer clients in the Latin American and U.S. Hispanic markets. She previously worked in public interest communications at the Florida Museum of Natural History, where she developed key content to generate media coverage on current news, research and exhibits. 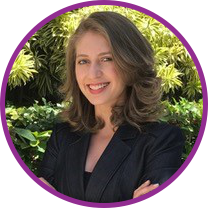 Before arriving to Fusion, MaJo earned a Bachelor’s degree in public relations at the University of Florida with a focus in Spanish studies.